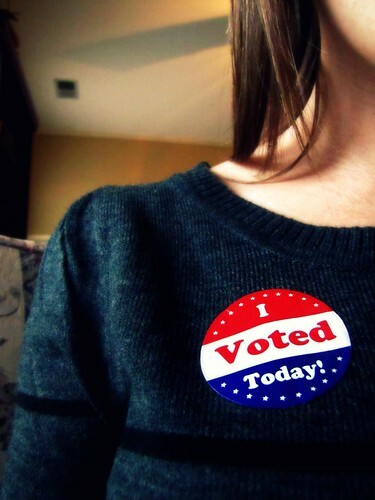 Flickr photo by "Photos by Momo"
I voted today! Well, not today, but I mailed in my ballot last week. I hope you all did too. Whatever your political leaning, it is important for all of us to take the time to educate ourselves on the issues and vote for what we feel will make the world a better place. It may be corny, but we are lucky to live in a democracy. And, if you don’t vote, you can’t complain later! I couldn’t agree with you more. I voted too. Are you not voting for/against initiatives either?